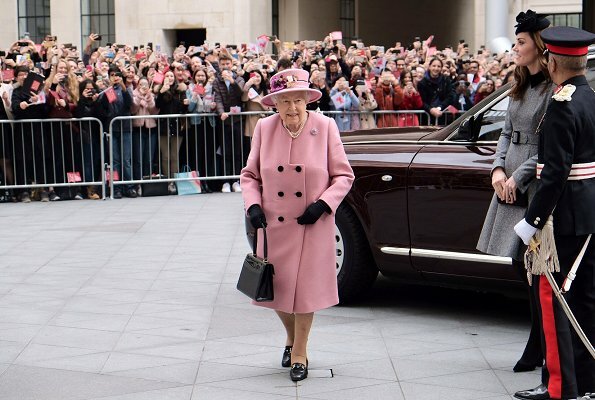 I like today's pink of the queen. Catherine is far more discreet than her, but normal. They both look wonderful! And they have a good relationship, I think. It does look so, a genuine one of respect. Nice to have them both together. 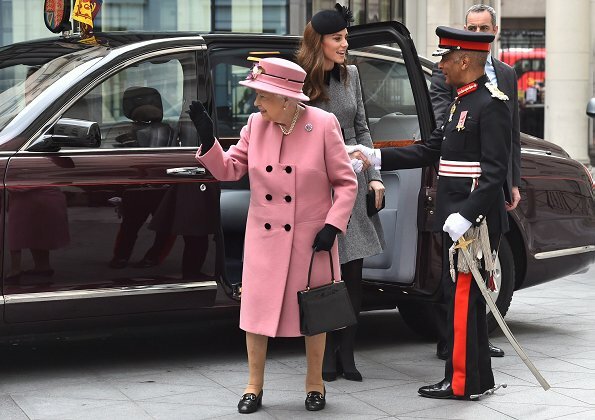 Love the outfits, the cheeky pink of HM manteau and the coatdress of DOC. They are "dolls"! How nice to see them joyning an event together! 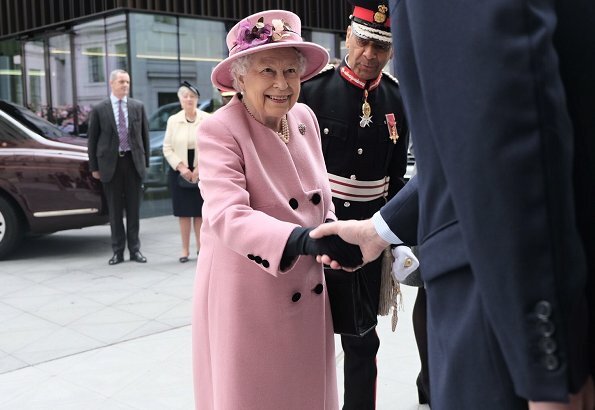 The shade of pink looks great on The Queen and I love the flowers on her hat. Although the cut of her coat looks a bit strange to me, like it's not fitting well at the front. Kate is elegant and sophisticated as always. They both look very distinguished and classy. The queen looks like she is eagerly welcoming spring. The DoC also looks lovely, it’s really her interpretation of the queen’s uniform, dome in a way that is so very her. Fabulous tailoring in both. 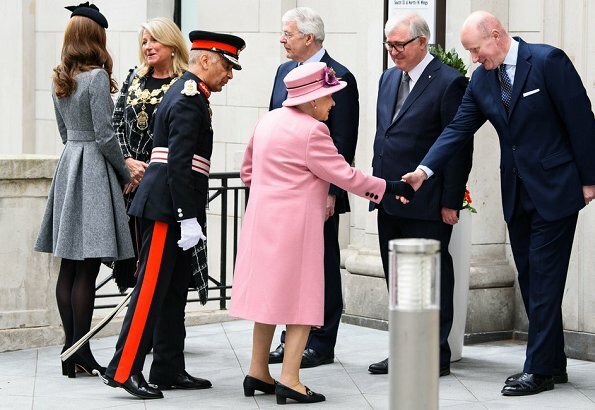 This is a big improvement for Catherine over the first event she attended with the Queen without William. Discreet but beautifully feminine and well tailored coat dress in a good working color for her. And she can sit down confidently without her skirt riding up. The Queen looks perfect, as always. Catherine has attended many events with the Queen alone especially in her first year as a royal. they went to Leicester, opened a commuter train etc. Today is the first time that her Majesty and Catherine have done engagement together without being joined by another member of the RF. In 2012 Catherine went to Leicester with the Queen and Prince Philip. In 2011, the Queen and Catherine, at Buckingham Palace, viewed the exhibition of Catherine’s wedding dress. I don’t know if that counts as an engagement. There are no many events with the Queen alone. This is not the first time Catherine has done an engagement with just the Queen. Dramatic Arts Reception in 2014 was attended by The Queen, Duchess Catherine, and Prince Michael. Prince Michael is considered a much lesser ranking royal and was not even in most of the shots with the Queen and Catherine. Prince Michael was there, and he was in the PROGRAM, and he is a member of the Royal Family. Of course the press selects which photos they want to emphasis. That doesn’t mean that Prince Michael doesn’t count, just because he was not in most photos. 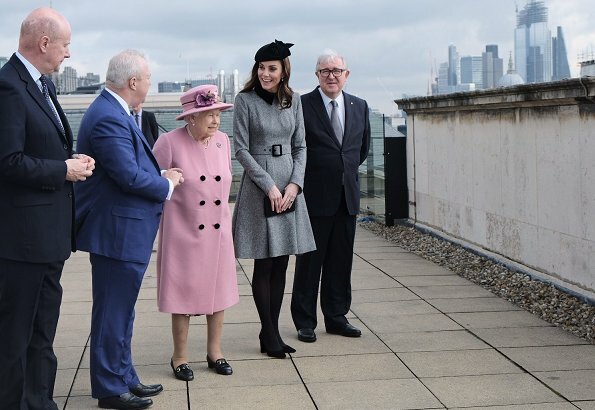 So yes, March 19 was the first time the Queen and Catherine were on an engagement together without being joined by another member of the Royal Family. 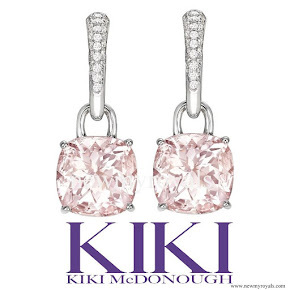 The engagement did not read;: the Queen, the Duchess of Cambridge, and Prince Michael of Kent. 2011 does COUNT as an engagement, so, NO this is not the first time! The Duchess became a real royal in my opinion. 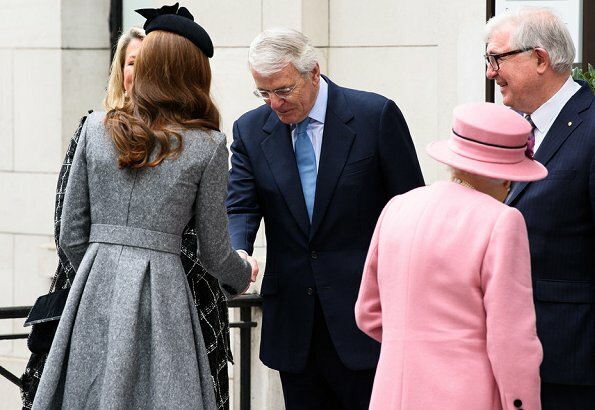 First of all she wore hat as a respect for the Queen-she had an appointment the same day later, without hat. 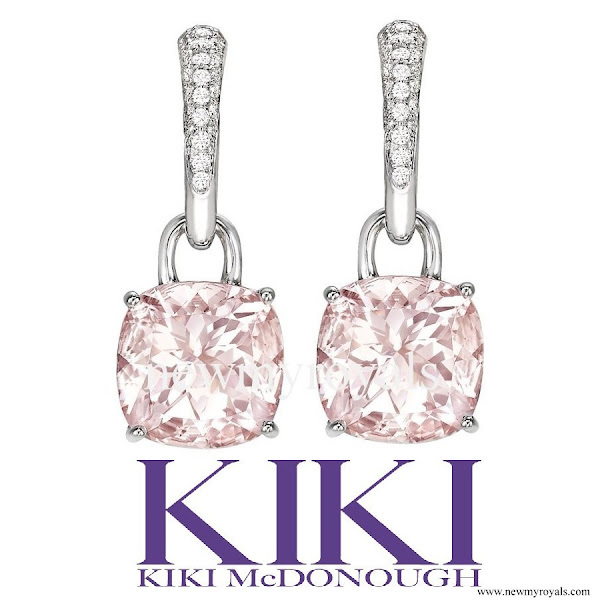 She wore the same piece as back in 2012, during their first joint engagement. Her dress and her behaviour was very understated but confident, let the Queen take center stage. She was always a few steps behind the Queen. She doesn't play role, she is just herself. Congratulations. Szilvia, what you said is very important. "She (Catherine) doesn't play a role, she is just herself." Just as she should. I love the Queen's choice of color. I do find the cut of the coat a little odd in the front, but I do like seeing that she is changing things up. Honestly, she is more open to change than Anne is. Kate's coat dress is pretty much as expected. Very well tailored and more subdued to let the Queen shine. Is it possible to praise one without attempting to drag down the other? By the way, their "first joint engagement" in 2012 also included Prince Philip -so it was three of them. I think the comments stands on their own without drahging amyone down. People are entitled to their opinions after all. It’s a matter of interpretation. Anonymous 1:12, you are right! A lovely appearance by both ladies. 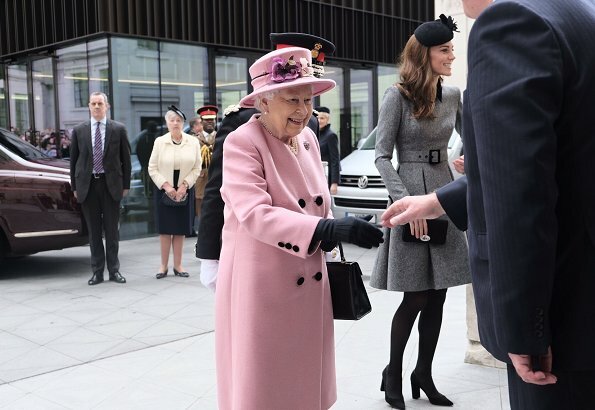 Love the pink of the Queen's ensemble and Catherine's contrasting more sober grey is very nice. Schöne Bilder von zwei bezaubernden Damen. 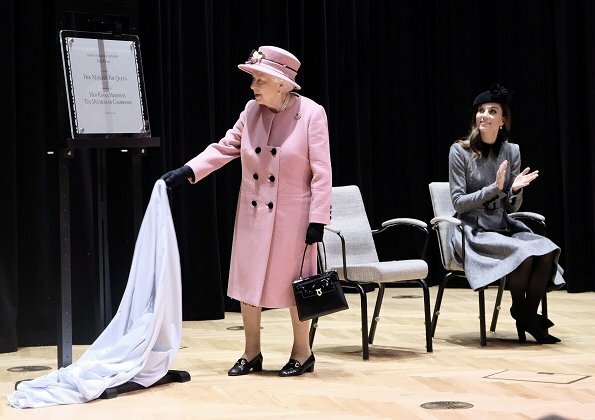 Die Queen und Catherine sehen sehr charmant aus. oh the ladies look fantastic! Kates coat is very nice and looks great with the black tights. The queen is in a fab style, the colour is great and I like the flowers on the hat very much. 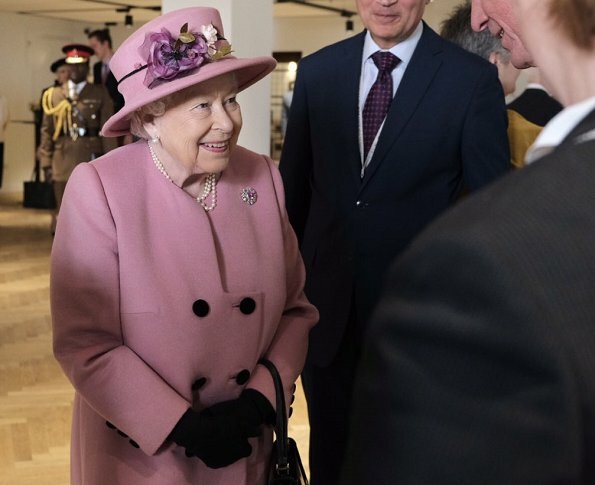 The Queen looks great.Must be a new coat like the color a lot, not to keen on the buttons, but a nice contrast.If I look like her when I am 92 Boy am I happy. She is the best looking 92 year old Lady. BTW Dss Kate looks very nice too. Catherine, stand up straight! 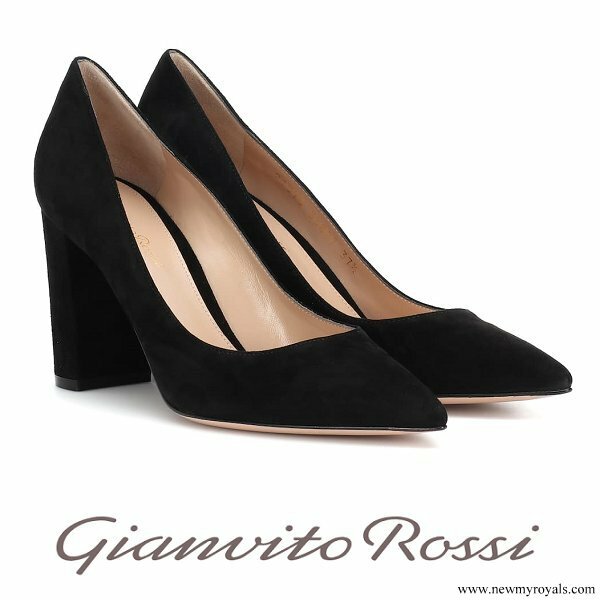 A lower heel might have been better, as to not tower over the queen more than necessary. Otherwise, they both look great. She's 5'9 while wearing 4 inch stilettos most of the time thats make her around 6'1 or upove. What do you expect she's was going to tower over the Queen anyway with or without heels since she's already a tall woman. Queen Mary was 5'6 and Catherine 5'9 or maybe 5'10 so that makes Catherine taller. Queen Mary was the Queen's grandmother. Guess I will be the only detractor here as to the skirt on the duchess's outfit. I think she is a bit "old" for flaring, stand-out short skirts. 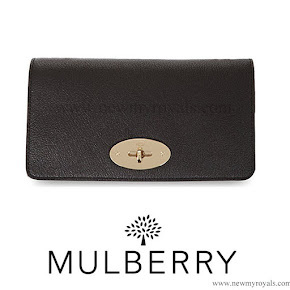 I think the skirts, if they are to be that much material, could do without the stiffening which makes them flare. To me, a soft drape looks better. Her Majesty is beautifully dressed and groomed as always. 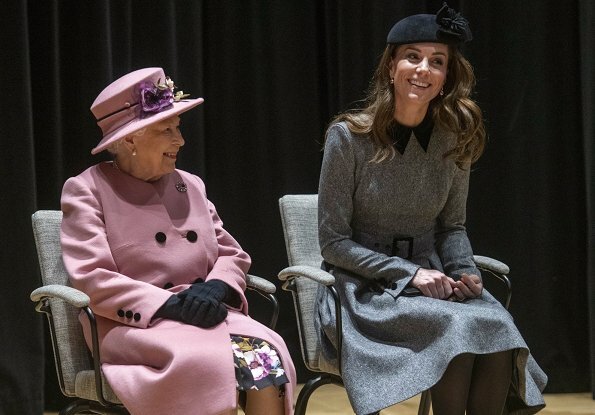 I do wish that the Duchess of Cambridge would dress more age and century appropriate, so many of Catherine's ensembles look like something Diana would have worn (sadly during the late 80's and early 90's before she came into her own).